Harrow Way Community School’s commitment to the highest standards in teaching and learning has been recognised by the Teacher Development Trust Network (TDNT). 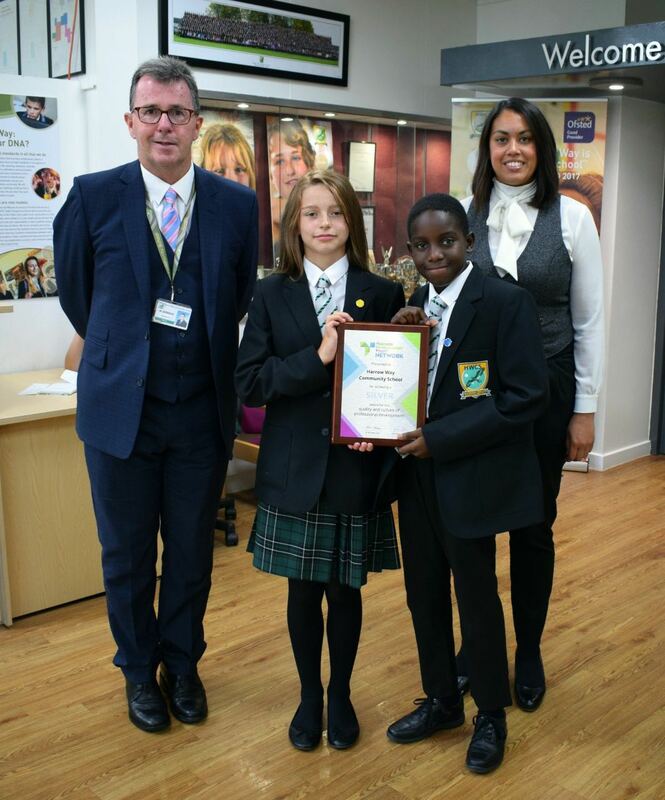 Receiving high praise from the auditors the school was awarded their prestigious Silver Award. The auditors went on to highlight Harrow Way’s many strengths including the strong and supportive culture at the school where all staff understand the importance of quality CPD (continuing professional development) and how this positively impacts on students. The report also acknowledged the clear leadership of CPD at Harrow Way with the Senior Leadership Team’s vision and rationale of CPD articulated well to staff, who all know who to approach with any professional development queries. Before gaining the Silver Award Harrow Way were put through a rigorous audit. Teaching and support staff were assessed on their continuous professional development and the Senior Leadership Team was audited with regard to where the school currently stood and what could be done to improve. TDTN also visited the school, talking to a wide range of staff in order to make a final judgement on the quality of Harrow Way’s professional development. TDTN is an organisation founded by teachers, dedicated to improving the educational outcomes of children by ensuring they experience the most effective learning.